March 16th in Plugin Lists by Wordpress Jedi . 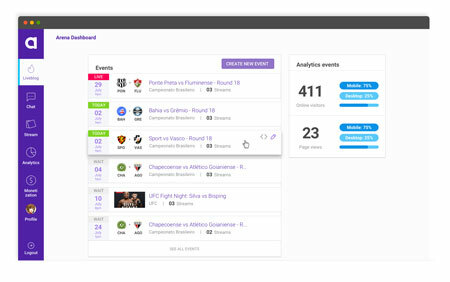 Live Events: this live commentary plugin lets you cover sporting events, conferences, TV shows, and everything in between. It displays new entries without needing to refresh. It is ready for translation. 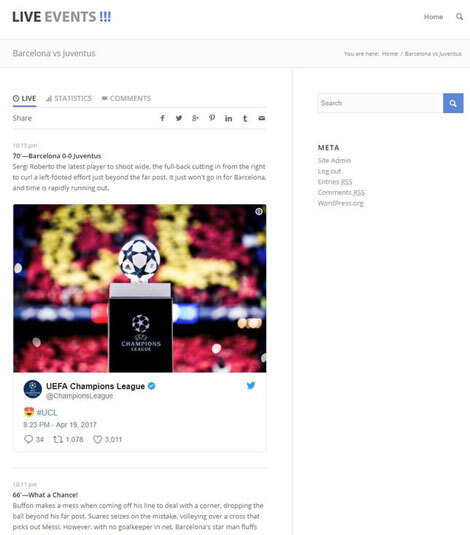 Arena.IM: a real-time event blogging plugin that lets you provide play-by-play coverage of all the action mixed with social media content from Twitter, Facebook, and YouTube. 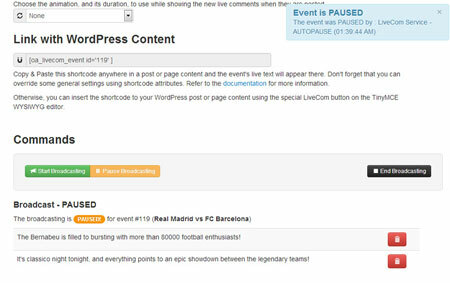 LiveCom for WordPress: this live commentary WordPress plugin is based on Angular. It can be used for live blogging at conferences, football matches, and everything in between. Lets you embed videos and audio from various sources. 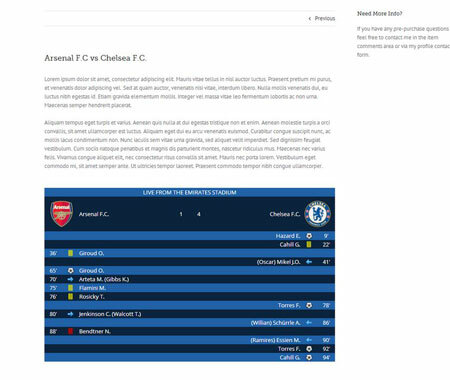 Soccer Live Scores: this plugin is great for soccer news sites that offer live commentary. It uses AJAX to display results in a dynamic fashion. You can change background, font color, margins and other settings from the back-end. Have you found better liveblogging plugins for WordPress? Please share them here.